Elaine will introduce some basic information about Chinese sausage and common ways to cook Chinese sausage. Chinese sausage is a name for various stuffed pig small intestine. There are different flavors in different provinces. However, most of Chinese sausages can be roughly divided into two types—spicy version and sweet version according to flavor. And some of the sausages are smoked while others are naturally withered. Around one month or two months before Chinese spring festival, people are busy making their own Chinese sausages. In fact, my mom’s sausage differs from my grandmother and further differs from my mother in law because in Chinese cooking, usually we do not weight the amount of pork and spices. Instead cooks make the sausages according to their own experience and taste reference. 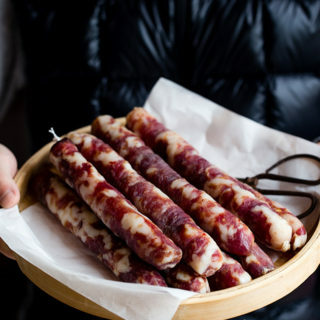 I will introduce how to make Chinese sausage at home if some of my readers are interested near the spring festival of this year. Sichuan sausage is featured by the spicy tastes. 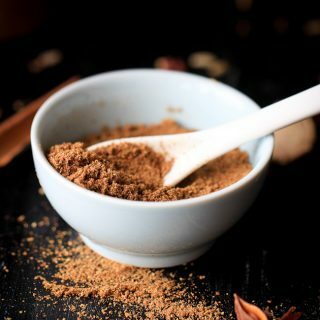 Usually pepper powder, whole Sichuan peppercorn whole seeds or power is mixed with meat. 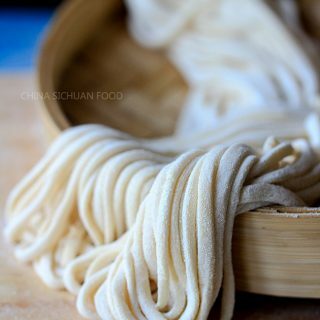 Additionally, Sichuan style sausage is featured by the making process. Due to the air humidity, it would be hard for people in Sichuan province to wither the sausage naturally. As a result, most of the sausages are smoked by tree branch of trees (usually poplar). Smoking process gives the sausage a unique flavor. There is a saying that if you love Chinese bacon, then you should taste those from Hunan and Hubei province. The spicy sausage in Hunan cuisine is naturally withered. Picture below is Hubei unsmoked sausage made by my mother in law. She uses more fat relatively so the final slices have a more crystal texture. Cantonese sausage is smoked and sweetened. 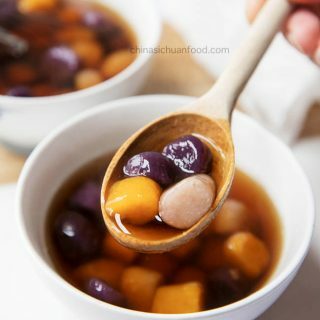 In southern Chinese provinces, Cantonese sausage usually is used as an ingredients in many dishes for example clay pot sausage rice bowl, sausage fried rice etc. 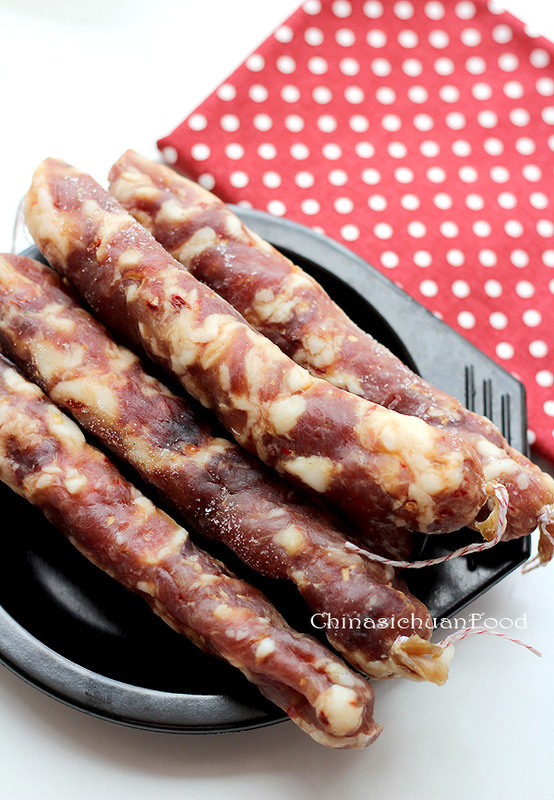 Additionally, there are also other Chinese sausage for example rice sausage in Yunnan province and Dongbei province. 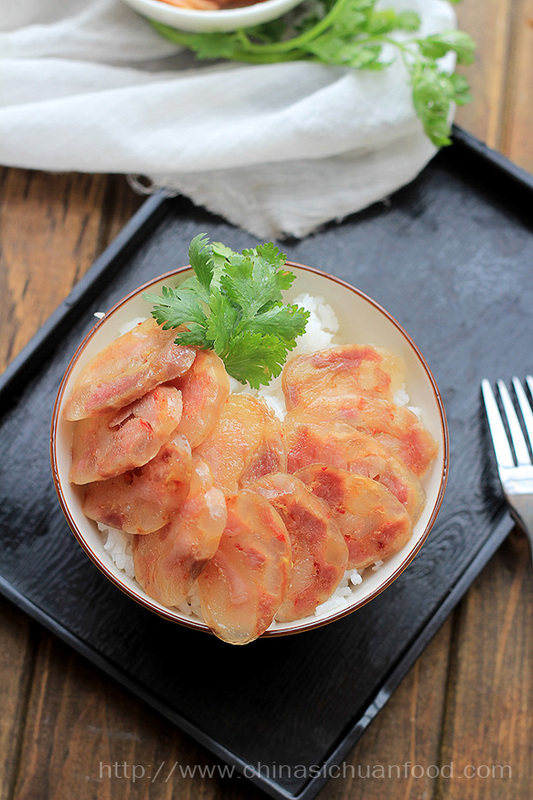 There are many ways to use Chinese sausage. 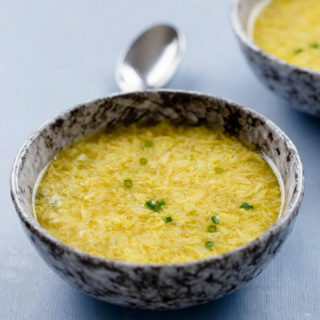 The most basic and simplest way is to boil or steam and further slice into thin pieces. Additionally, Chinese sausage can be used in stir-fry recipes, clay pot recipes or fried rice recipes. 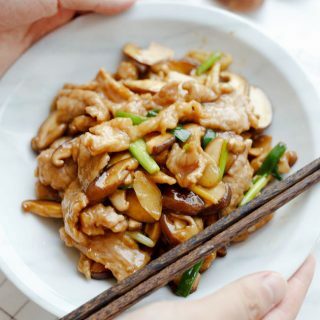 Sliced sausage can be used in stir-fry recipes with cabbage, snow peas or other vegetables. If you love to add meat or vegetables in rice, you can try cooked rice with diced or sliced Chinese sausage. Three ways about how to cook Chinese sausage basically. Wash the sausages carefully. If sausages are purchased from market, then I would high recommend rinsing them in hot water for several minutes. Put the sausages in pot along with enough water to cover and then bring the water to a boiling. 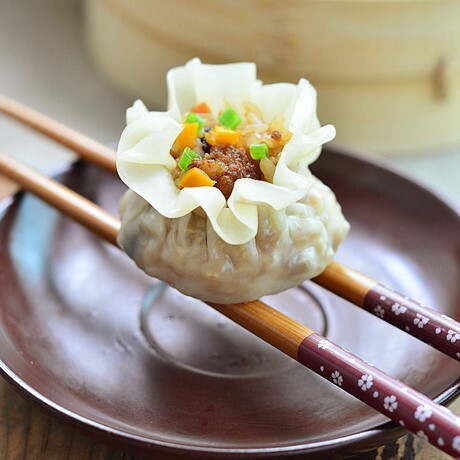 Continue cooking for around 10 to 20 minutes or until you can easily insert a chopstick. If you get a steamer, you can absolutely steam the sausages for around 20 minutes. 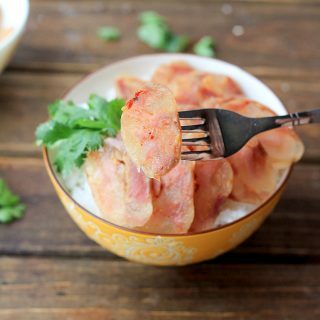 One energy-saving and time-saving way is to steam the Chinese sausage along with rice in electric rice cooker (with or without a steamer). With steamer: place washed sausage on the steamer of your electric cooker with the rice and water placed in the cooker. 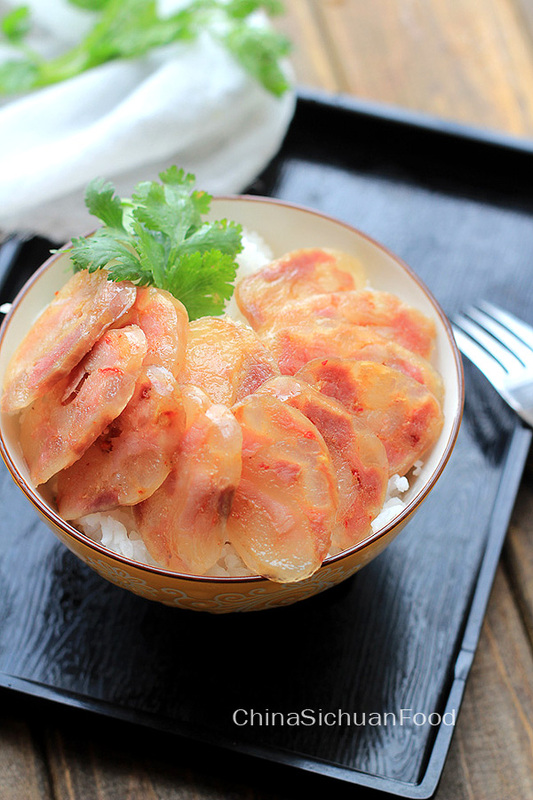 Without steamer: Cook the rice until the water is almost absorbed, place the sausage gently on the surface of the rice. Be carefully with the vapour when opening the electric rice cooker. Wait until the sausage ready along with the rice. If you decide to cook the sausage with a microwave, prod some small holes on the surface so that the sausage will not blow out during the process. 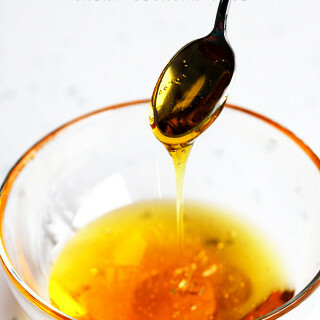 Sprinkle some water to avoid over drying. 2-3 minutes with middle fire is recommended. Thanks for the tips. I love the yummy sausages especially the slightly sweet version. Glad to know that you love the Cantonese Sausage Jo. I am also a big fan. Making Chinese sausage at home is not difficult. But it just not the right time. Sausages need to be made in winter when the weather is cold enough. I hope you can wait for several months, I will post a recipe when I made my sausage this year before the New Year. 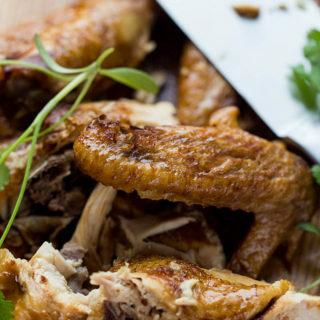 Can it be cooked in a crock pot? Yes. Crock pot should be definitely fine. Thanks April for the kind words. I am currently living far away from my hometown and I get my mom and monther-in-law to make sausage for me every year. I will try my best to make a plan to make them at home myself. Oh that will be so wonderful =). Thank you so much. 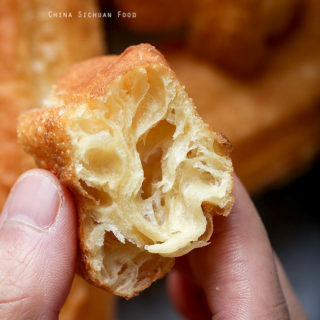 Can it be deep fry or bake in oven? No, the best way is steaming. Deep-frying or baking will dry the sausages out. Thank you for your insightful recipe. It was a great help .